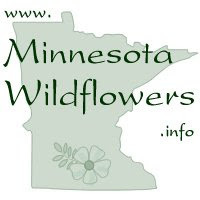 We are enjoying late Indian Summer temperatures right now in central Minnesota and it's an excellent time to collect native seeds before the snow comes. 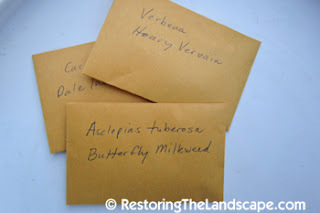 For collecting seed in our yard, I buy a package of Coin Envelopes every couple of years. 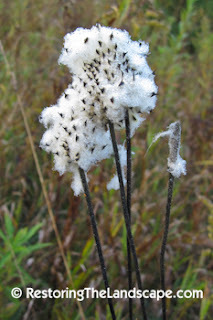 They're slightly larger than a business card in size and can hold a lot of seed. These easy to gather fluffy white seeds are Zigzag Goldenrod (Solidago flexicaulis). For more difficult to gather seeds (ones that are small or enclosed in a capsule), I like to use a white frisbee. I shake or bang the seed heads onto the upside down frisbee and can easily see the seed as it falls out. It's easy to remove any extra leaves as well. These seeds pictured in the second photo are Great St. John's Wort (Hypericum pyramidatum). They are very tiny but also easy to collect once the capsule opens. Once the seeds are collected for a particular species, they can be poured into the labeled envelope. 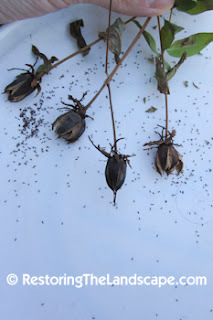 Some seed capsules are very hard to open. An example is the Wild Petunia (Ruellia humilis). You can gently hit the seed capsules with a rubber mallot to break them open. With any seed collection, timing is everything. 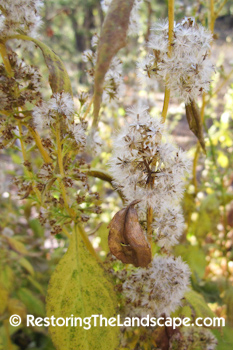 Most seeds need to be fully ripened before being collected. Some seed capsules are designed to disperse seed great distances, others shake out the seed like salt shakers when the wind blows, for example, Harebell (Campanula rotundifolia). 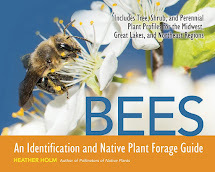 It is best to refer to books or seed catalogs for specific growing information for each species. One book we really like is William Cullina's Growing and Propagating Wildflowers. 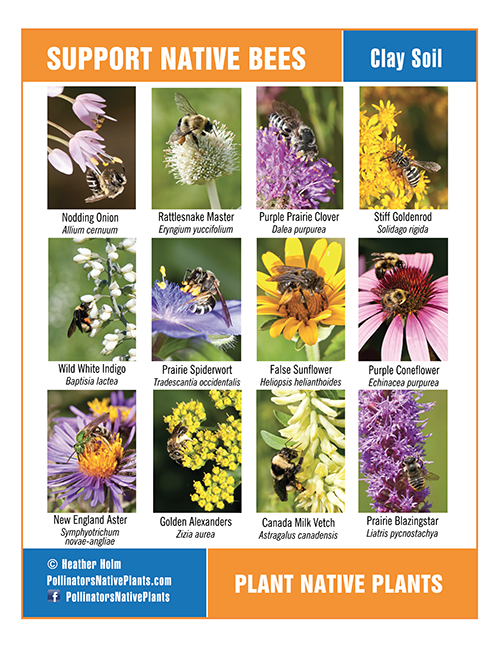 Prairie Moon Nursery's Catalog and Cultural Guide is also an excellent resource. We will store our collected fall seed until mid February. We then divide the seed into two categories, cold/damp stratification and cold/dry stratification. The cold/damp seeds go into zipper lock bags and are mixed with damp sand. They are then put in the back of our fridge for a minimum of 30 days, and sometimes as long as 90 days depending on what is recommended. 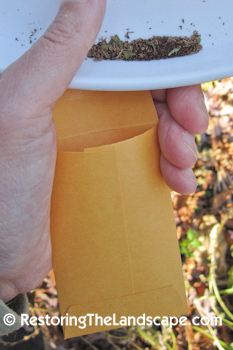 The dry/cold seed is put in the fridge in the collection envelopes. Most legume seeds will require scarification (scratching the seed coat in order for moisture to penetrate). This is especially true for Lupinus, Baptisia, and Astragalus species. We will either direct sow our stratified seeds in the spring in the landscape once the soil warms up, or sow them in pots to grow out after they have been stratified.